Looking for where to get the best Men's accessories online? 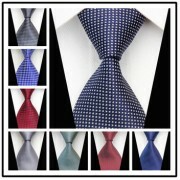 At GbanjoDeals, you will discover a wide range of colourful and exquisite accessories made for every man. Style your outfits when stepping out in both a formal and informal appearance. We offer colourful neck scarves that blend with several outfits to give comfort and edgy look you want for yourself. Buy Quality men's belts that come in casual and formal designs to suit all occasions and appearances. Look more attractive and classy with suspenders & Cufflinks, Jewelry, Caps & Hats, Belts, Bags, Bracelet. Carry your items with a little more style with masculine trendy wallets for men from men's accessories catalog from GbanjoDeals!